This is so simple I almost hesitate to write about it. 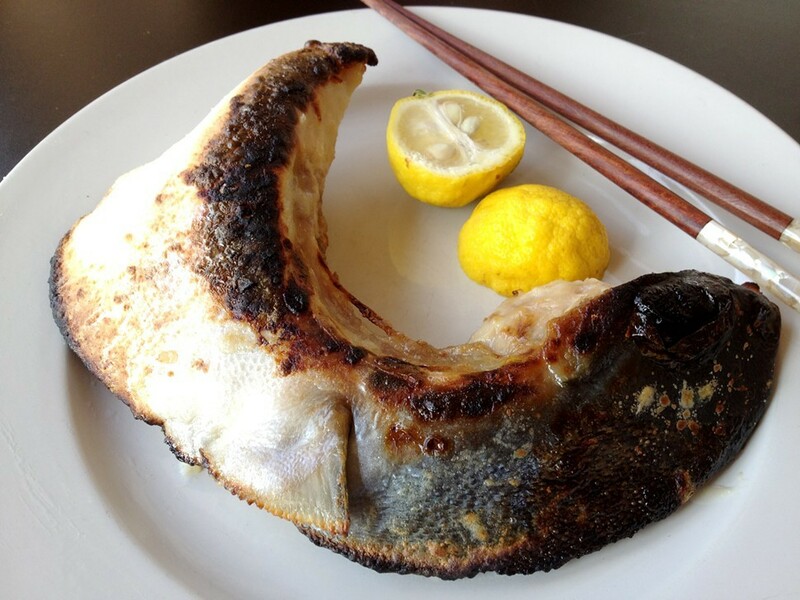 A fish only has two collars, and if more people started broiling them at home it could drive up the price of this unlovely but delicious and economical cut. Hamachi, yellowtail, or Japanese amberjack, has a particularly meaty collar that should never be discarded. Occasionally they're offered grilled at Arami or Yusho (where it's only trumped by Fish Face), but they're always available at Mitsuwa, where they're currently priced at $10.99 a pound. 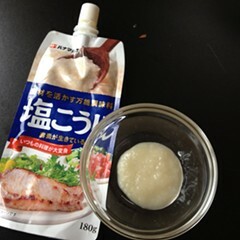 Sprinkle it with salt, or if you're thinking ahead, marinate it in shio kogi overnight. Then simply oil a piece of tinfoil and place the collar skin side down under a broiler for three minutes or so. Flip it skin side up and go for another five. It's so fatty it's almost impossible to overcook—though you can burn the skin. Watch carefully and the skin crisps up like a chip while the flesh underneath remains juicy and lush. There's a lot of meat under there, but due to the knotty architecture of the bones the best way to get at it is with chopsticks. But it's easier to abandon all dignity and put the whole thing right up to your face. Mike Sula writes about cooking every Monday.